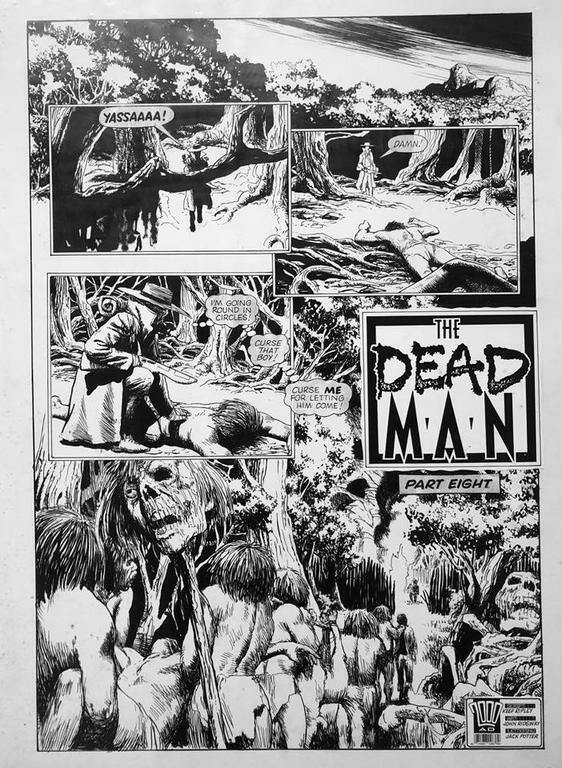 All I want for Xmas is a John Ridgeway page from The Dead Man. Thank you, Santa! Very nice indeed. The Dead Man is a stone cold classic. Always good to see pages from this pop. I used to own the previous episode's last page to this. Wish I'd kept it now, but it went to a good cause. 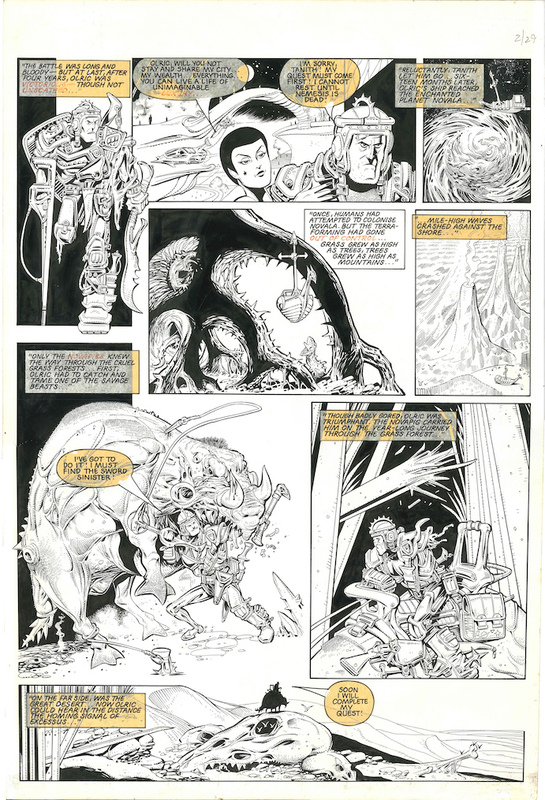 Hi guys, just wondering if anyone might know how to contact Colin McNeil about buying a page from him? It’s a very recent page so I’m hoping he still has it. 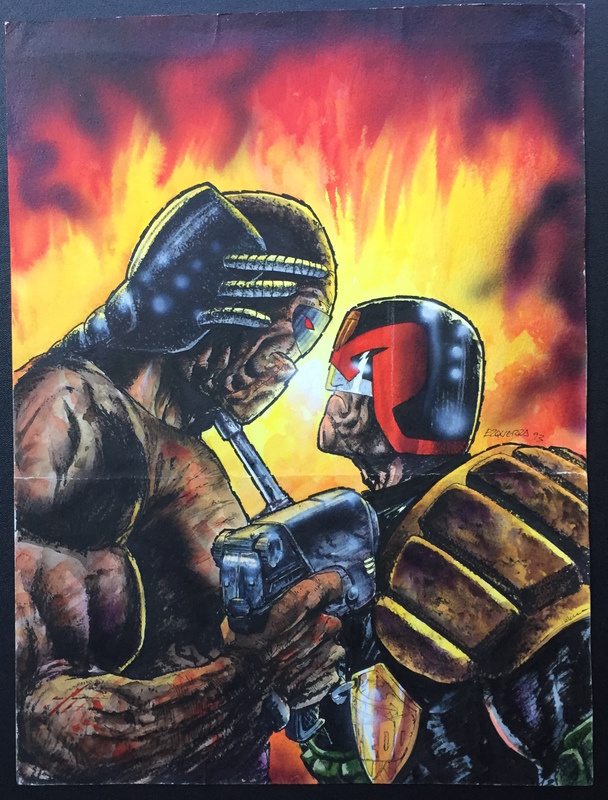 "As soon as I shift some comics to raise funds I'll be contacting that there Colin MacNeil." 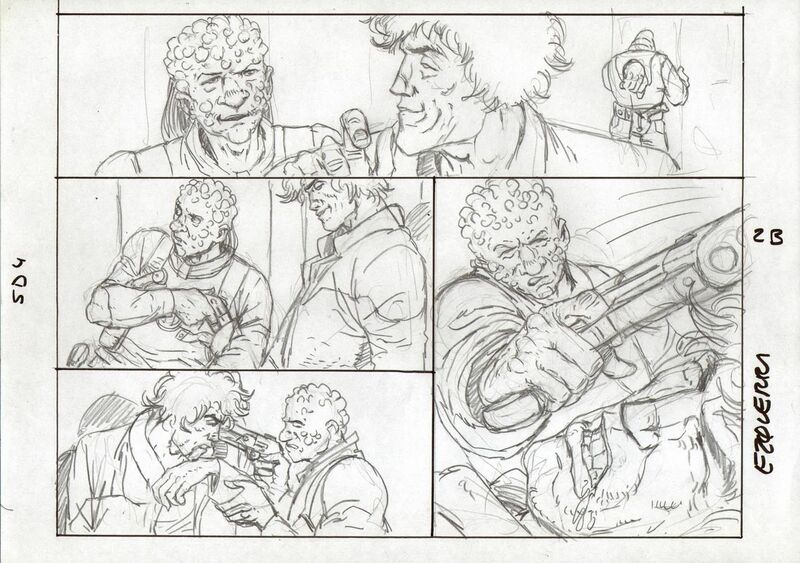 as there have been some simply glorious pages in the last three weeks. Good luck picking up what you are after I know a few folks here have contact with Colin so fingers crossed. 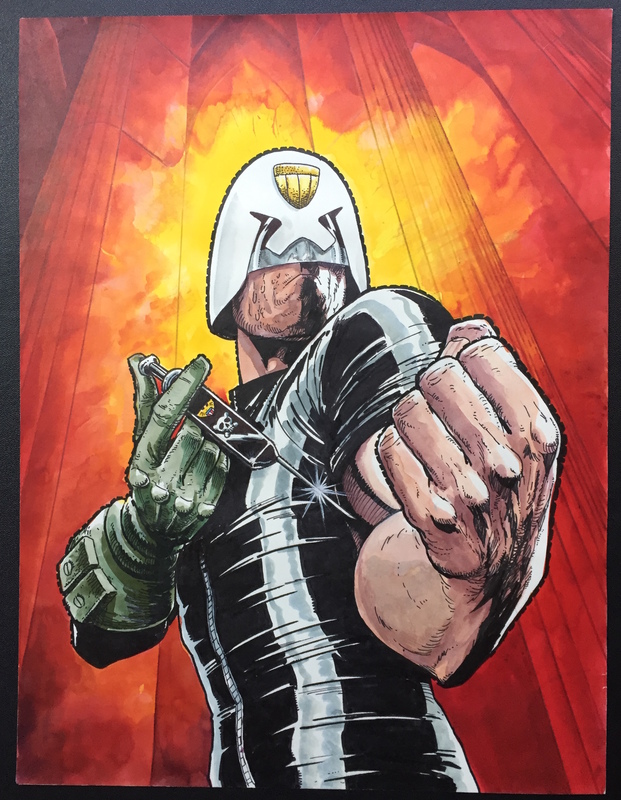 Carlos' Final cover drawn for 2000AD (the last printed cover was actually drawn in 2017). Nice. Why sign it '18 ? Back with a bang Skullmo! 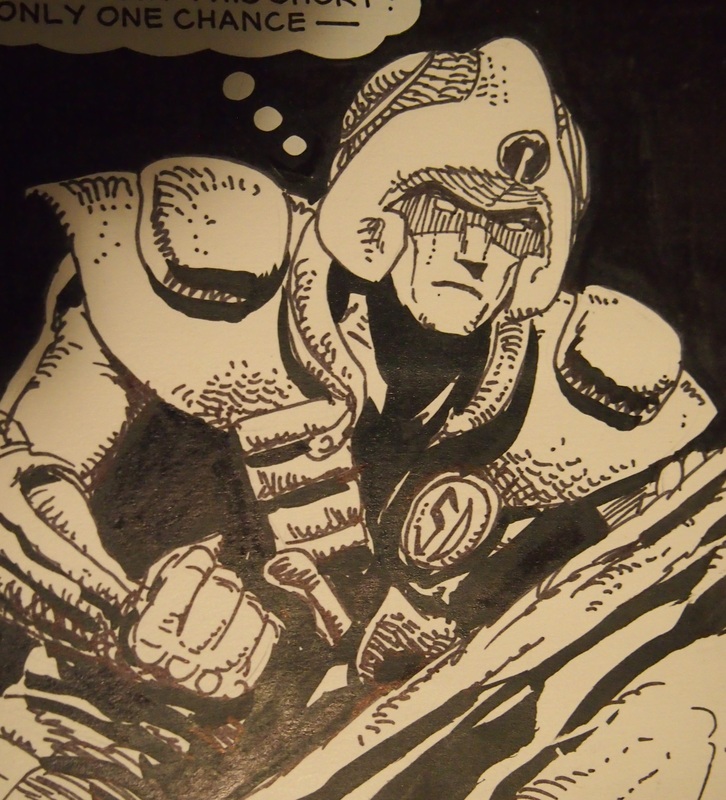 Lovely Ezquerra pieces, both for yourself and Rogue Judge's collections. 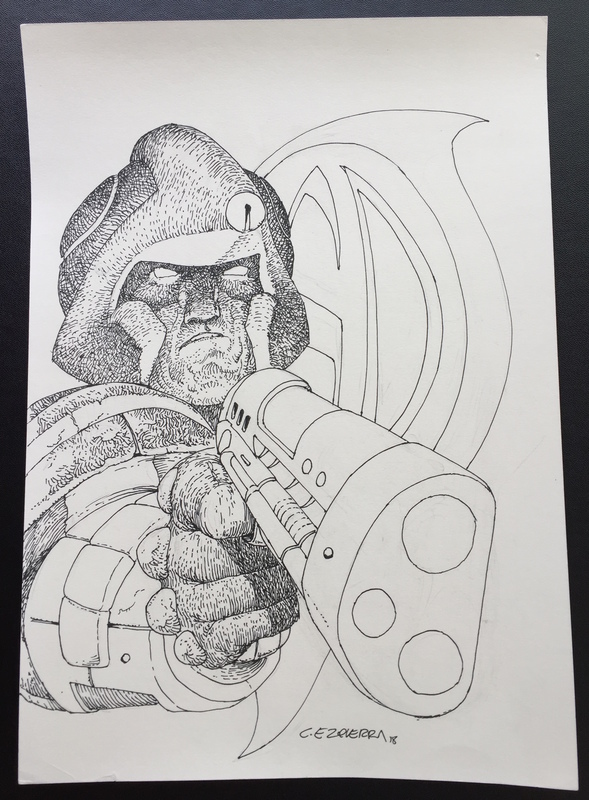 Those are great - especially the Execution of Duty cover... Awesome. I have something new as well but I'm still getting my head around it. 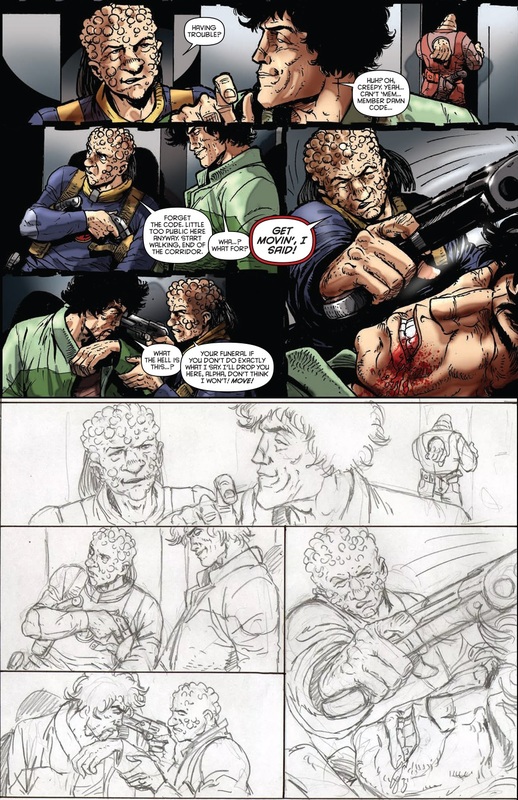 Genius in every line, every panel a minor masterpiece; witness the insane geometry of Kevin O’Neill in the legendary tale of a simple varkherd named Olric… Nemesis the Warlock: The Sword Sinister, from the 1981 2000AD Sci-Fi Special. I’ve been mesmerised by this story since I first read it as a kid and it’s hard to believe that an original page from this now sits in front of me. The final reveal of Nemesis - only hinted at before, with glimpses of his Blitzspear in Terror Tube and Killer Watt - was a huge event for me. 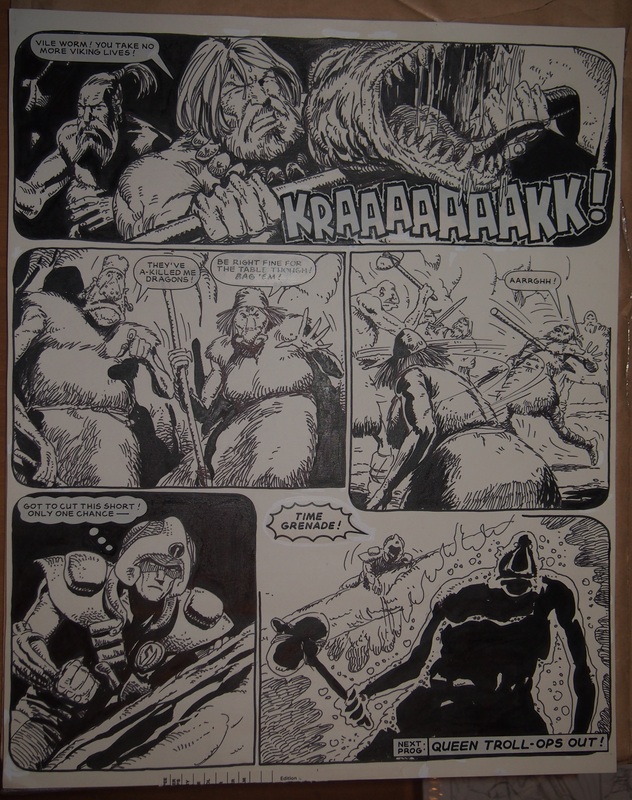 It would be a couple more months before Nemesis made his debut proper in the Prog but I was already hooked; Pat Mills’ writing combined with Kev O’Neill’s incredible art definitely made its mark on my still-forming brain. 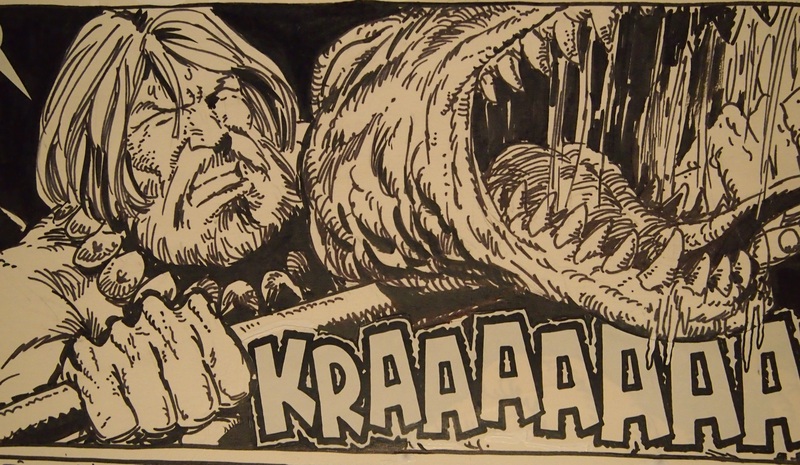 There’s a lot of old-school 2000AD stories and art that I love but this is pretty much top of the heap.